Extreme must be caught in a time warp or something. At times the group seems to have a fair handle on the thrashy grunge-funk style popular today, then you blink and it sounds like one of those really bad big-hair bands from the mid-’80s. The result is that the band often sounds like an annoying cross between the Red Hot Chili Peppers and Stryper. It sounded like that at the Commodore last Monday (April 10), and to make sure you noticed, the musicians cranked the volume way, way up. It got to the point where I was almost ready to trade a beer for a set of earplugs. 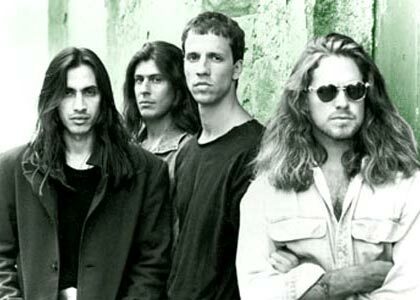 To his credit, recently shorn lead singer Gary Cherone did his best to energize the packed house, leaping about and climbing up on the speaker cabinets to croon into the Commodore’s curtains. Guitarist Nuno Bettencourt and bassist Pat Badger flung their lengthy locks around in true rock-star fashion, giving Skid Row a run for its money, and their consistent posing suited the bombastic blare they produced. It’s when the band departs from this narrow approach that it starts to win brownie points. The boisterous “Decadent Dance” and jaunty “Hole Hearted” helped make up for the abundance of heavy-handed clunkers, but “More Than Words”—the group’s best song and the one that broke it worldwide in 1990—was relegated to one measly verse during “Rest in Peace”. “I take it everyone in Vancouver can sing?” wondered Cherone while introducing the ponderous “Naked”, which proved a poor choice for a sing-along but sure gave the avid screamer occasion to clear his throat. The band was called back—none too enthusiastically, considering the turnout—to finish off with a few bars of the Addams Family theme and another new tune, “No Respect”. I enjoyed the former ditty the most of those two.